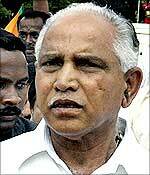 The rumors that the government may not hold the Assembly session in Belgaum indicate that BSY administration’s apathy to developing the district and this part of the state, according to the Kannada Organisation’s Action Committee (KOAC). Former CM Kumaraswamy and then his deputy Yeddyurappa had announced that the government would hold the legislative session in Belgaum every year for at least one week, but this does not seem to be happening. The Karnataka Rakshana Vedike (KRV) has gone one step further to almost dare the government not to hold the session in Belgaum. The opposition says the Govt. has not fulfilled its promises made in the earlier sessions held here. BSY said that the construction of the Suvarna Vidhana Soudha is in progress and the city would also play host to the World Kannada Conference.